For those still drooling over the screen real estate of a tablet, but unwilling to sacrifice the pocket-friendly size of a smartphone, Sprint’s new Kyocera Echo looks like a folding slice of heaven. 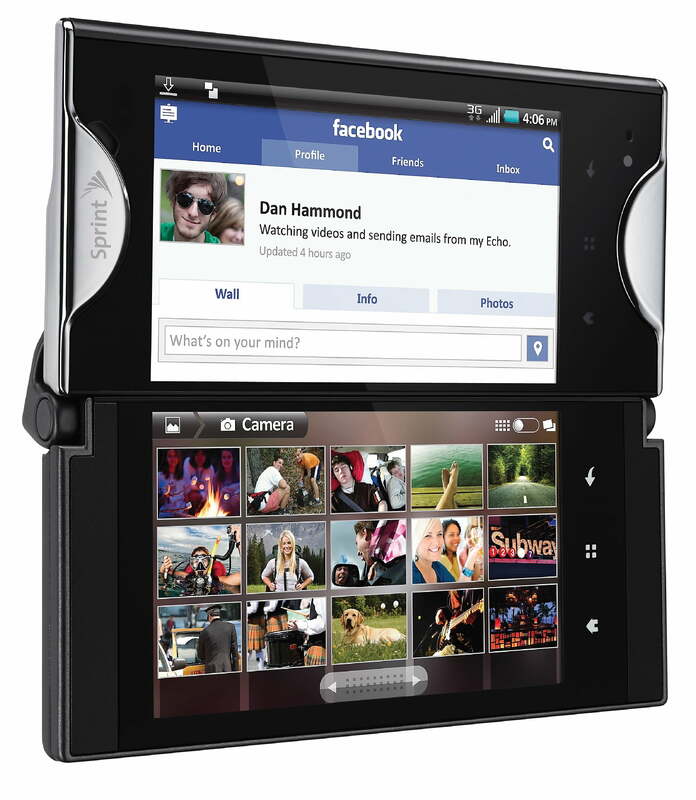 Like a Galaxy Tab mated with a Nintendo DS, the Echo flips open to reveal dual 3.5-inch displays, with area equivalent to a single 4.7-inch screen. You can flip through e-mail in one screen and browse in another. Type on the bottom screen with a giant keyboard. Play The Sims with the bottom as a control pad. 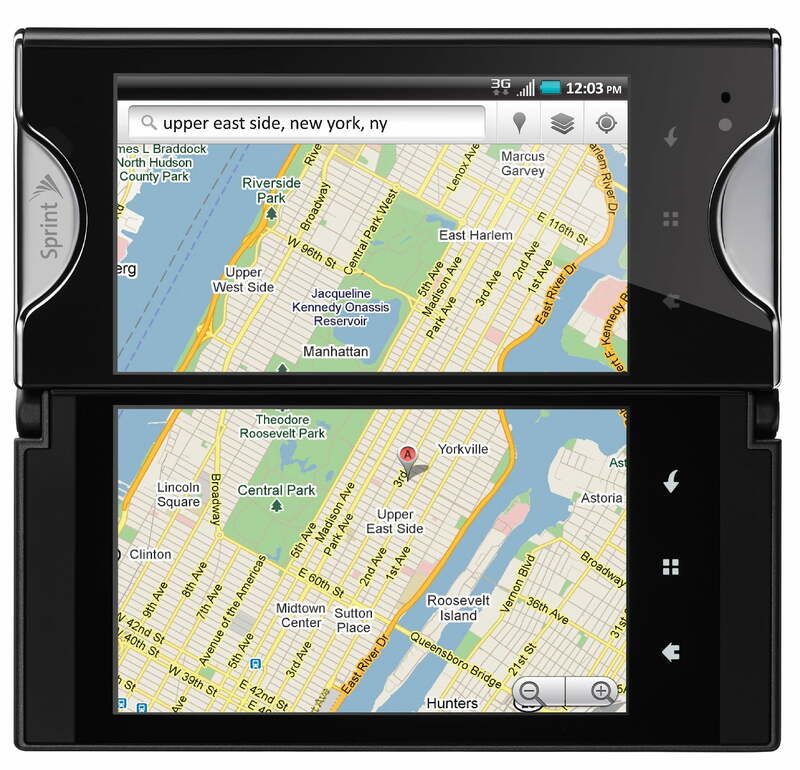 Kyocera will ship the Echo with Android 2.2 Froyo – a capable version of Android that has proven itself on plenty of other handsets. But don’t expect to move on to the next dessert on the menu any time soon. The extensive customizations Kyocera had to pull in order to make it run on two screens will prove quite a burden to recreate with every upgrade. It’s a bit more work than merely reskinning the interface after all. Result: New versions of Android are going to take a while as Kyocera engineers figure out how to adapt them for the Echo, if they come at all. Even if Kyocera suddenly shifts from neglectful chain-smoking stepmom to overactive superparent in keeping its offspring up to date with the latest version of Android, we’re skeptical about how many apps will support the dual-screen mode. We saw The Sims at the debut, but unless Nintendo DS studios start porting their title en masse, we wouldn’t expect to see many developers going out of their way to make games for a totally unique type of device with just a sliver of market share. Even established Android tablets like the Galaxy Tab seem to suffer from a lack of tablet-optimized apps, not to mention any app store customizations that would make them easier to find. Worse yet, the “simultasking” feature off the Echo that allows two normal apps to run side by say has to be enabled – not just any app will work with it. At launch, only seven apps (staples like e-mail, browser and contacts) will support the functionality. Double the screens, double the battery drain. It’s an unavoidable consequence of excess. The Echo will boast a fair five hours of talk time, but with both screens blazing, you had better believe all the other smartphone chores will chomp into the battery more. Kyocera seems to have addressed this by including a second battery and a charger that will let you top it off as you charge the phone, but toting around another brick can hardly be called a solution. From basic hardware perspective, the Echo belongs in 2010. While many of the hottest smartphones at CES 2011 used dual-core Tegra 2 processors to pump through intense graphics and multi-task like champs. The Echo uses a single-core 1GHz Snapdragon processor, the same as many of its present-day peers, to drive twice the amount of pixels. It’s like dropping the same V8 into a pickup and a Camaro. They’ll both leave rubber at the start line, but the little guy’s going to scream across the finish a lot sooner. The Echo may be plenty usable, it just won’t be as snappy as similar phones with only one screen, or the next-gen Tegra-powered devices to follow it shortly. It might not come as too much of a surprise to see the Echo appear without 3G on AT&T or Verizon without 4G, whose networks are still in infant stage, but Sprint has had a WiMax network since 2008 and its very first 4G phone, the Evo 4G, was announced nearly a year ago. Its other flagship Android phones offer 4G. Leaving the Echo in the slow lane will force would-be buyers to choose between twice the screen and twice the speed.